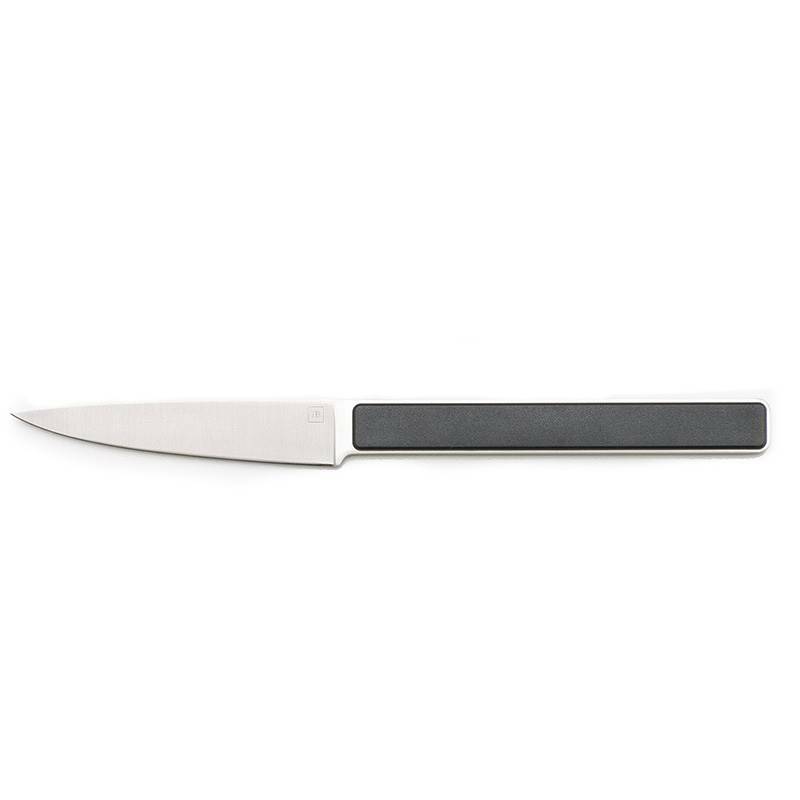 The contemporary design of this Hector paring knife is the result of the work of designers of Tarrerias-Bonjean. Manufactured in the workshops of French leader in knife selling market, it can easily be recognised thanks to its uncluttered shape that facilitates the meticulous cuttings of fruit and vegetables. 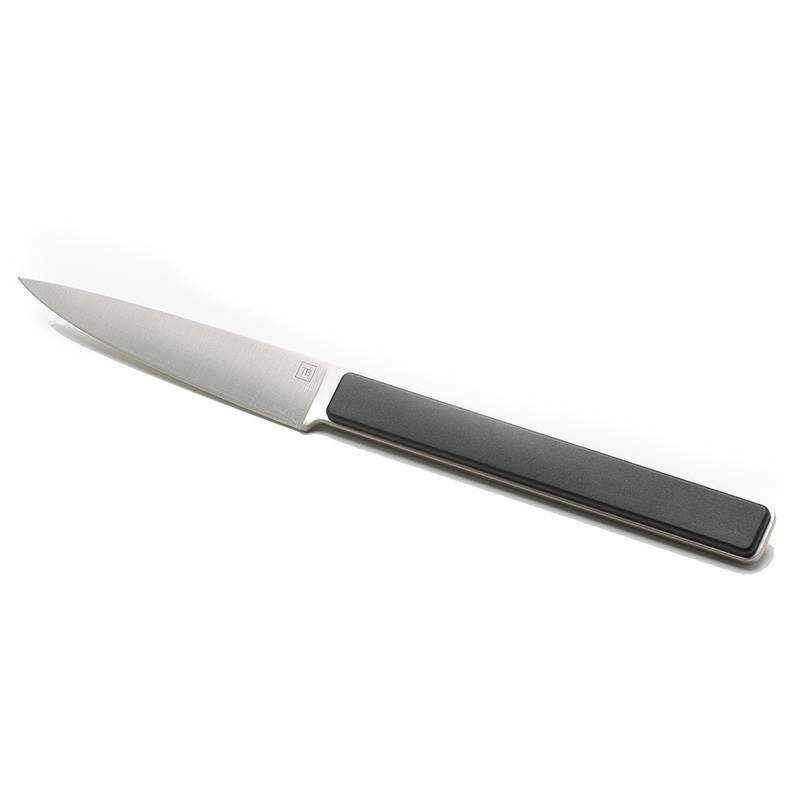 This Made In France paring knife has a full tang stainless steel blade, token of sturdiness and reliability. Robust and light, its shock-resistant ABS handle ensures an easy grip. 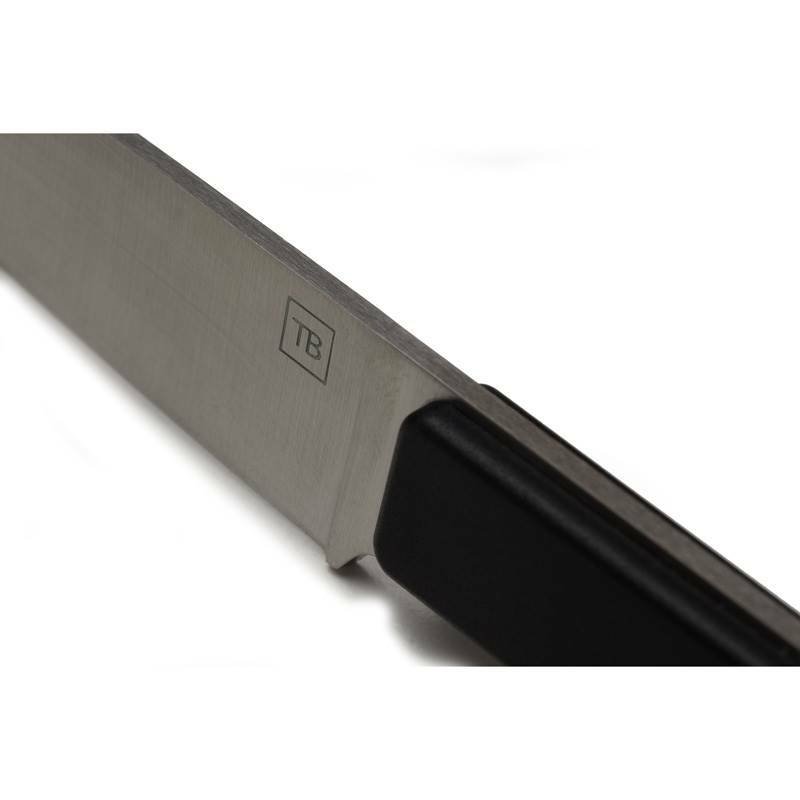 This paring knife can be personalised by laser engraving, don’t miss that!